Mr. Li Ganjie, Han Nationality, born in November 1964, Changsha, Hunan Province. He joined the Communist Party of China (CPC) in 1984. He holds a Master’s degree of Engineering and is a senior engineer. He started his studies on nuclear reactor engineering in Tsinghua University in September 1981, and became a postgraduate majored in nuclear reactor engineering and safety in Tsinghua University in July 1986. After he graduated from Tsinghua University with a Master’s degree in July 1989, he started his career in Beijing Nuclear and Radiation Safety Center of National Nuclear Safety Administration (NNSA). Then he successively held the posts of Deputy Director General of the Department of Nuclear Safety and Radiation Environment Management of State Environmental Protection Administration (SEPA), Director General and Deputy Secretary of the Party Committee (Director General Level) of the Nuclear and Radiation Safety Center of SEPA, and Director General of the Department of Nuclear Safety Management of SEPA, etc.. In December 2006, he was appointed Vice Minister of SEPA and Administrator of NNSA and elected as a member of the Leading Party Members’ Group of SEPA. In March 2008, he was appointed Vice Minister and a member of the Leading Party Members’ Group of the Ministry of Environmental Protection (MEP) and held a concurrent position as Administrator of NNSA. 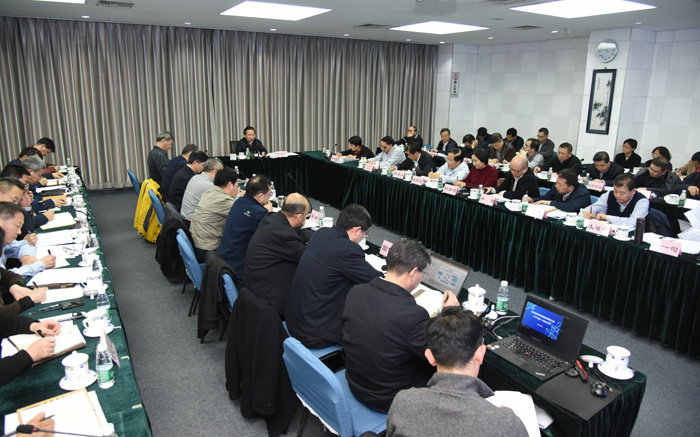 In October 2016, he was appointed Deputy Secretary of the CPC Hebei Provincial Committee and President of the Party School of the CPC Hebei Provincial Committee. In May 2017, he was appointed Secretary of the Leading Party Members’ Group of MEP. In June 2017, he was appointed Minister of Environmental Protection of the People's Republic of China. In March 2018, he was appointed Minister, and Secretary of the Leading Party Members’ Group, of the Ministry of Ecology and Environment (MEE) of the People's Republic of China.